To have a different set of pricing for wholesale customers, you can use pricing based on Customer Types. The pricing you setup for wholesale customers can be viewed only by them with a login. Setup the wholesale prices for each product with quantity breaks if any. These will only be visible to that particular customer type. Click NEW and enter the Customer Type, and click on the SAVE button. 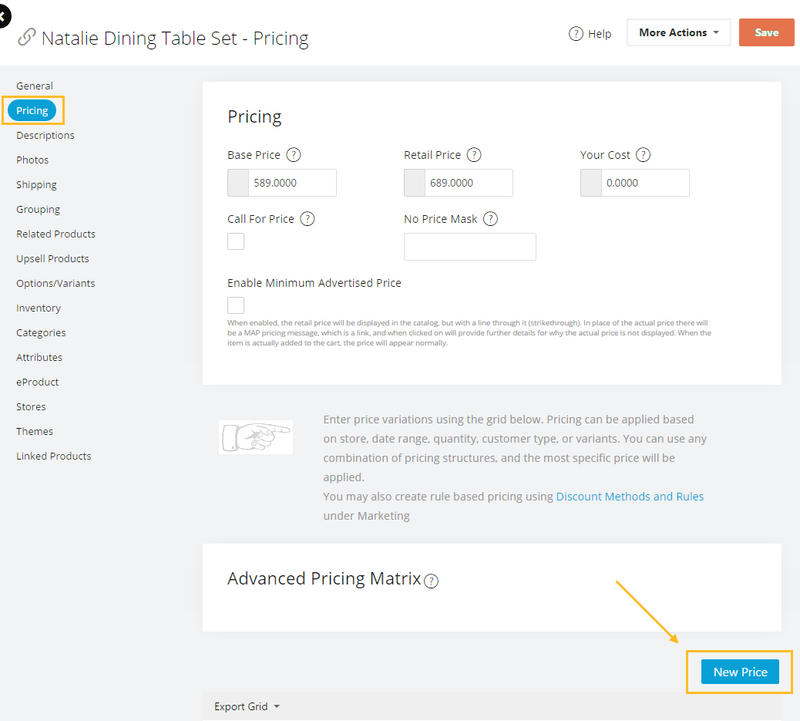 The Login to See Pricing Box is enabled by default. This should not change if you want your wholesale pricing to be visible only to approved wholesale customers. Repeat the process for as many customer types as you want. Store: Click on the blank entry under Store and select the store. If you are running multiple stores, you can or leave it at (-All-) to apply this pricing to all stores. 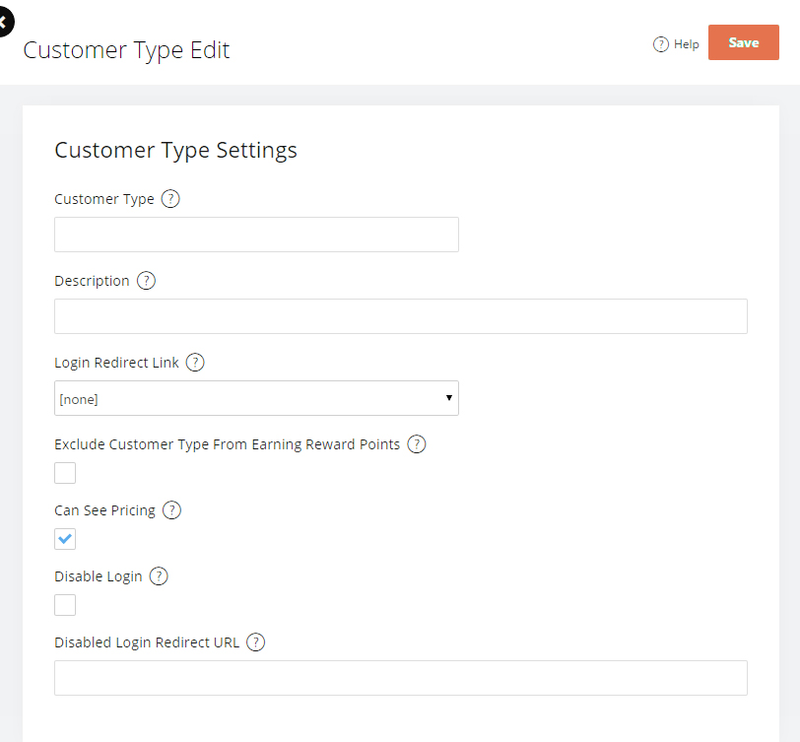 Customer Type: Click on the blank entry and select the customer type from the drop down list and set it to 'Wholesale'. Starting Quantity: leave it at 1. If you'd like to offer quantity breaks, you can change this number. You can add more rows for multiple quantity break prices. Cost: Enter how much the product costs you, if you know the value, or leave it at 0. Used only internally for reporting. Price: Enter the price of this product for this customer type. (in this example, your wholesale price). Is there a way to automatically change customer type after a customer has made $x worth of purchases? Is there a way to have a wholesale type that gets wholesale pricing only on certain categories? For example, we have several categories, one of which is High School metal art. Can we give a booster club or school organization wholesale prices only on that category instead of all of the categories on the site?